Yoga for kids is extremely beneficial for health and relaxation as we all know that today’s kids face a lot of stressors when they live in a busy world. Parents have less time, and the pressure of highly competitive studies for students makes their lifestyle a passive one. Besides that, the internet, video games, and movies make their life a bit inactive. 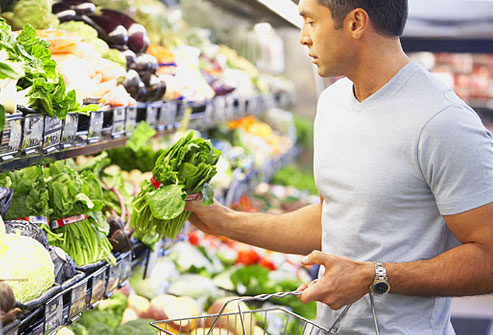 This busy and passive lifestyle can have damaging effects on the health of your kid. In order to counter these problems, you can use yoga for children. This will definitely give you the desired result of a more productive, peaceful child. When you teach your kid how to relieve stress through yoga, he/she will be in a better position to perform at their full potential. This is helpful in a world where only the fittest of the fit survive. Yoga helps children build self esteem and awareness about their body. Your child can glean a number mental and physical benefits from yoga . Kids yoga brings strength, flexibility, and improved focus. It also develops a sense of calmness within. Yoga is also helpful in connecting your child with their spirituality. This makes your child stronger. Yoga brings a lot of positivity to the table for your child, and helps him or her to understand things around them in a better manner. Yoga for children increase the possibility of exchanging wisdom, and deepening the thought processes of of your child. Besides making him or her physically strong, yoga also develops an effective mechanism to fight against diseases. This means your child will remain fit for a longer period of time. Yoga is an effective tool to improve the mind-body relationship of your child, and it also acts as a positive stress manager. When your child feels emotionally lighter, stronger mentally, and stronger physically, he or she can make better decisions about their future. Yoga helps children maintain their flexibility, and provide the strength for their growing body. Kids learn how to control their body since some yoga poses are fast and others are slow. Their concentration will also improve. Yoga builds self esteem in your child. When a kid shows strength and flexibility, it automatically increases their self esteem and confidence. 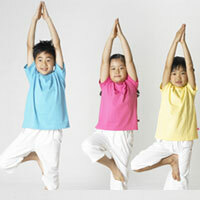 Yoga for children helps your child feel relaxed even in the most difficult situations of their life. While doing yoga exercises, children learn the importance of mental peace. Yoga is an excellent stress management tool for your child. While doing the slow exercises of yoga, the heart rate often slows down, and reduces stress. Yoga is an effective tool to show the hidden creativity of your child. When your child learns how to make his own poses in yoga, you will revel in them!. Yoga teaches discipline in your child which increases their sense of responsibility. Yoga helps your child in all walks of life, all the while building his personality in a positive manner. Your child will learn about their body. When you are aware of your strengths and weaknesses inherit in your body, you can make better decisions about what you can and can not do. Yoga teaches your child how to interact with other people. Yoga does this by teaching that all the humans are equal, and have the same kind of bodies. The importance of yoga is huge for your kid. There are a number of other benefits besides those mentioned above. Bottom line though yoga for children is a great way to develop your child into a well rounded individual.